Salim was very effective in delivering huge business value. He quickly built strong relationships and a deep understanding of business requirement, then built and led a multi-talented team to develop an enterprise architecture that is still producing dividends. Thank you so much for giving us TOGAF training, it was really fantastic, very practical, thorough and covered with excellent examples and tailoring approach for enterprise architects to meet business needs. 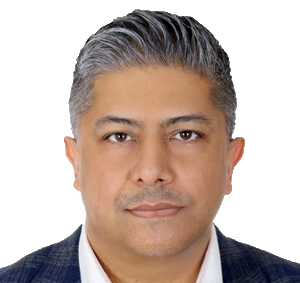 Salim is a leader in our UK Enterprise Architecture team, able to provide the full range of training, EA transformation and EA advisory / consulting services. Salim is an expert in the theory and practical application of TOGAF. A trusted CxO Adviser and Non-Executive Director, he has a reputation for parachuting into organizations and quickly establishing a plan for success. He was an associate partner at Infosys, and has held senior interim CxO level roles in leading organizations in the UK, Middle East and Australia, including Aer Lingus, ASDA, BP, Virgin Atlantic, Ecclesiastical, O2, McLaren and the Royal Botanical Gardens.